463G-1818-B Size: 18" x 18", Thickness: 3", Cover Type: Comfort-Tek Cover Features: -Comes standard with a quadrangle pack that has four compartments designed to prevent gel migration. -Helps reduce shear force. -Quadra gel pack is a polyurethane bladder with four compartments. -Provides optimal distribution of body-weight. -Maintains skin integrity and seated temperature to provide maximum comfort. -Single-layer foam construction contours to the users body, reducing high-pressure areas. Product Type: -Foam Cushions/Gel Cushions/Pediatric Cushions. Material: -Foam/Gel. Size: -Small 15"-17"/Standard 17"-19"/Wide 19"-22"/Extra Wide: More Than 22". Country of Manufacture: -United States. Dimensions: Size 22" x 20" - Overall Width - Side to Side: -22". Size 22" x 20" - Overall Depth - Front to Back: -20". Size 20" x 20" - Overall Width - Side to Side: -20". Size 18" x 16" - Overall Width - Side to Side: -18". Size 18" x 16" - Overall Depth - Front to Back: -16". Size 16" x 18" - Overall Width - Side to Side: -16". Size 16" x 18" - Overall Depth - Front to Back: -18". Thickness 3" - Thickness: -3". Thickness 2" - Thickness: -2". If you have any questions about this product by The Comfort Company, contact us by completing and submitting the form below. If you are looking for a specif part number, please include it with your message. 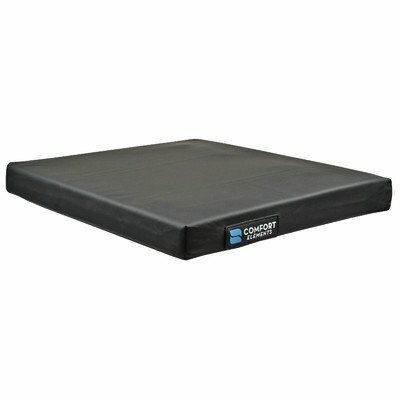 Lumex 7-1620E Convoluted Foam Cushion, 18" x 16" x 2"